Trick or Treat! LASR Blogfest and giveaway! It isn’t Halloween without some treats, right? Weeeeell, if you wander over to Long and Short Reviews, I’m guest posting there today at 10 AM, and there is a giveaway for a PDF copy of Mooner! 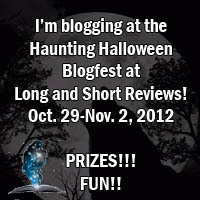 Be sure you stop by to take a look at that and a whole bunch of other fun posts and giveaway opportunities! For my specific link, go HERE! and remember, be sure to take a look around and get in on all the other fun giveaways while you’re there!